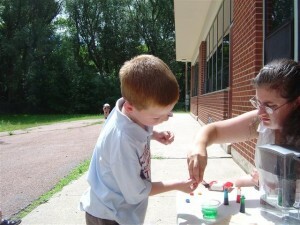 Creekside Kids, Inc. Offers Reggio Emilia Inspired Programs For Children From 2 ½ Through 8 Years Old. Creekside Kids childcare does not follow a set curriculum nor is our teaching designed for any one age of early child development. Our center was created to serve the needs and interests of the children in mixed-age groups in a Reggio Emilia inspired manner. Our planning is custom crafted for each group of children taking into account the needs of families in our part of Colorado Springs, the needs of the children in our care and the interests of the children for whom we care. In true Reggio Emilia style, we arrange activities around the room and allow the children to generate interest in the areas of education that they want to learn instead of detailing out what each child will do on a day by day basis. We feel that children have rights and should be given opportunities to develop their potential. We know children to be “knowledge bearers”. So, they are encouraged to share their thoughts and ideas about current topics and events, feelings, experiences, and new concepts. Teachers do not teach in Reggio Emilia inspired schools in the traditional sense of following a predetermined curriculum that is worksheet and craft based. Instead co-learning is the standard. Our teachers embrace a life-long pursuit of understanding children and their learning process. Teachers are commonly referred to as co-learners, or collaborators as they are growing alongside the children. Academics are taught within larger concepts and long term studies that are guided by the interests of the children. 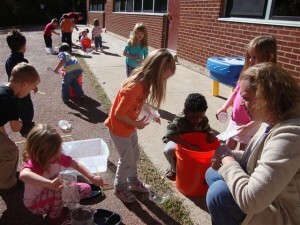 The final component to our self-guided Reggio Emilia inspired learning style is the environment. It is often referred to as the “third teacher”. 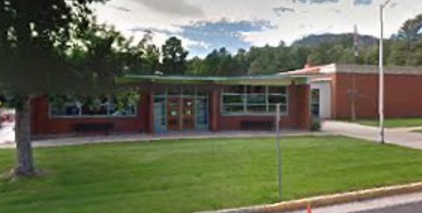 Our classroom is designed to be comfortable to the children and families who also attend the Cañon School and to allow us to easily access the playing field, playgrounds, gym and garden area of the school. We promote outdoor time for the children whether playing, exploring, hiking the grounds, or having learning time outside. Environments are important to the Reggio Emilia process because it is believed that children can best create meaning and make sense of their world through environments which support complex, varied, sustained, and changing relationships.